Fun Quilter 23 has 23 inch throat space, front and rear handles, speed control, front and back hand wheels, aluminum construction. 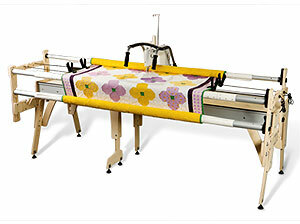 Nolting Fun Quilter 23 Long Arm Quilting Machine With Optional Frame. 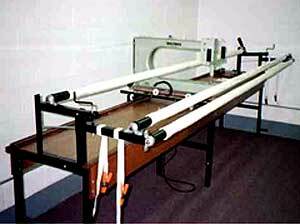 The Fun Quilter 23 is one of three sizes of longarm quilting machines offered by Nolting Manufacturing. It is the latest evolution of machines made for the home user. Nolting Fun Quilter 23 Features. 23 Inch throat depth, with 8 inches of inside height. Nolting Fun Quilter 23 Package Contents. Nolting Fun Quilter 23 Options. Nolting Fun Quilter 23 Information.